three friends running the same race! So, what are we doing this year and why?? Just three races, that’s it. 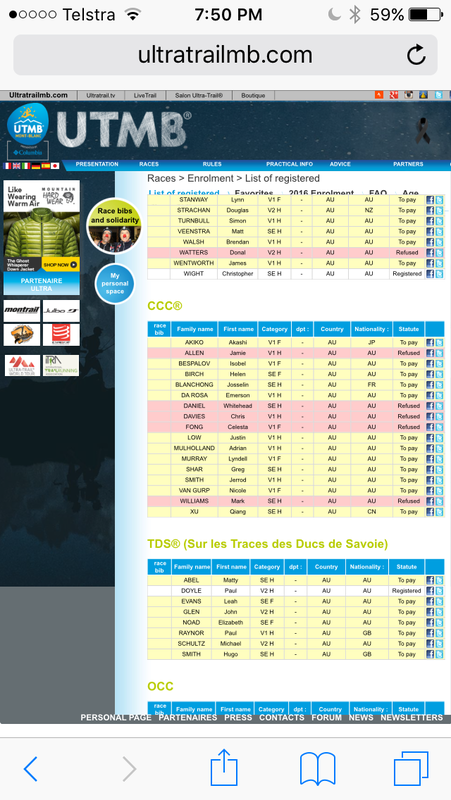 A thing called The Northburn 100 in Otago, New Zealand, the UTA 100 come May and the CCC in August. I might be doing a night race later this week. Why? Why do this? Obsession, boredom or fatalism? Self hate? I can not say for sure but I do know, that on the day I race, running, then plodding headlong into the unknown, doing something outside normal, it conjures a feeling nothing else can manage. Maybe Sky divers get it too and can keep at it all day, I do not know. Running ultras on trails takes time to prepare and patience to enjoy. It makes the rest of life easier too. You start using the same tools, doing what you can, trying to find what works, then sticking to and improving on a winning formula. I am quite late to all this, I used to think I was a ‘lucky’, soul who did not really have to try at life, it just worked out. It wasn’t, I wasn’t. Since doing these events and admittedly for a time before, getting other parts of my life in order, I have started to do a little better. It’s making a difference. To me, anyway. My family might disagree. So 2016, it’s only three races, 360 and a few km long with 20 500m + up, I think the same down? I hope the other side of life goes well for me, it’s the main contest. 5 days a week, every week. I plan to keep this page a little more up to date and even do some retrospective gazing at what went right and wrong in 2015. For my sake, to be honest. And I’m still wearing silly shoes/sandals 🙂 and maybe some sensible ones. slightly silly party, Carson Zombie Racers. 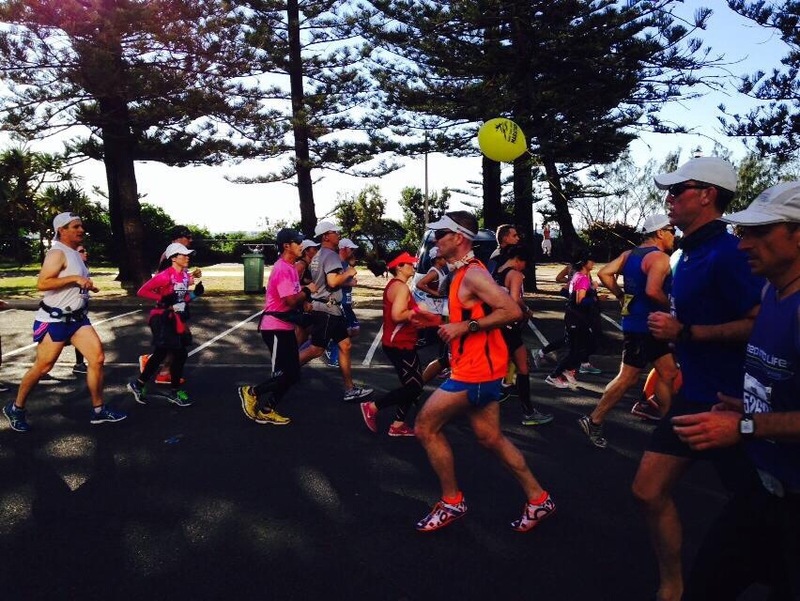 The Gold Coast Marathon 2014 – Race Report. I have never written about a road race. They are flat, we all know where they go, what is there to say? Well, this is a BIG race, thousands show up, it is always won in a sub 2-10 time. Top Kenyans come to win it. It was the Australian Marathon Championship this year. IAAF also give it the top rating as a Gold event. What does all this mean? It is huge, over 10 000 runners. It is flat, fast and cool. 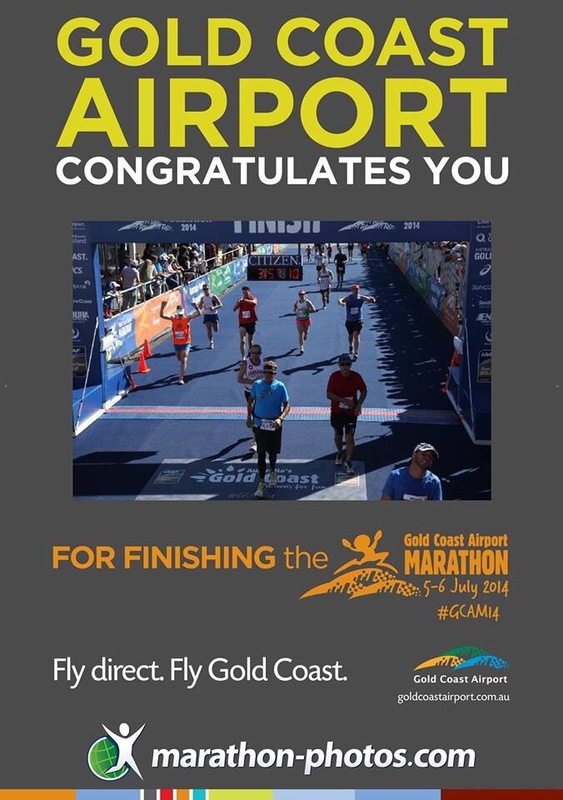 You run along the surf beach through the iconic the Gold Coast, Main beach, Surfers, Boroadbeach and beyond. It has COLOSSAL crowds and people come from all over the world to compete. For me this was an extra, an add-on, I did it because I could. An aim to raise money for a charity MND and Me put me on the start line. You know I run a lot, 100km being my last outing. I have run the 42.2 distance on road officially 4 times now. I have done it off-road and in training more than I dare say. This led me to forget/think I could do this easy. Stupid, stupid me. Mike (my running guru) and I had a goal, beat George W Bush. 3 hrs 44.51. I reckoned I could do it. 6 weeks post The North Face 100 and with a week off, Coach Hanny gave me a 4 week program and a taper. She was up beat but admitted my prep was compromised, she likes 3 months to do this sort of thing. 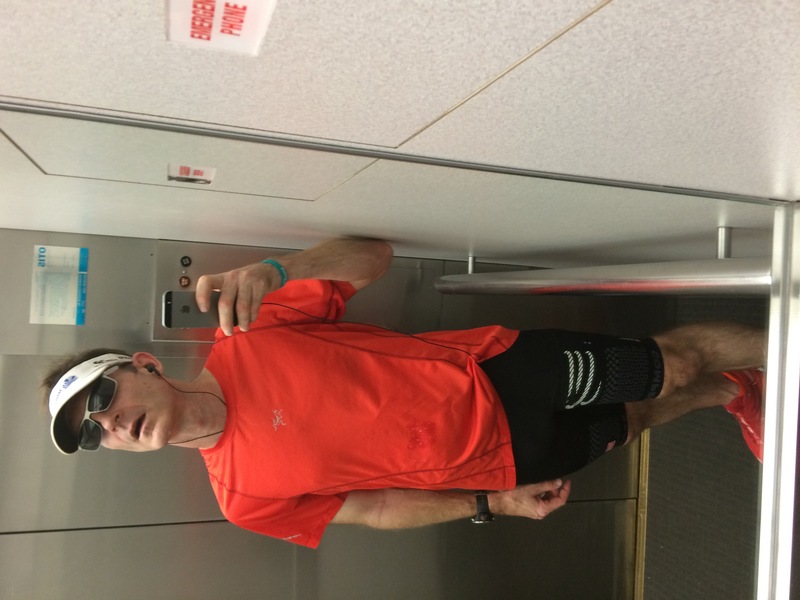 My trail running friends were still in recovery mode and I was doing sub 4 min interval work……. All went pretty well, I did the quality sessions and my speed was picking up. I had not achieved so many Strava badges in ages. My total distance and time dropped a LOT. Soon a cool orange Motor Neurone Disease and Me singlet/cap/top arrived and donations were rolling in. I was excited. Now the excuses start, I got sick, a cold, Lesley was also busy getting ready for a trip away. Work was flat-out. So no taper, no running for a week, just Codral Cold and Flu for 5 days and no sleep. We also forgot to book our hotel and ended up paying through the nose to be at Versace…small pain! I am a dab hand at race day now. I sleep well and know what I feel like. I did turn up at South Bank a week late and had to go down the coast to get my number though……. My daughter and I had a great time at the race expo and I even got out of there without paying to park! I like staying on the Spit, as you catch a boat to the start, its cold though. In the predawn gloom, Mike and I sat in a whale boat en route to a monster start with 15 000 others. The plan was simple enough, start slow, stay slow then see. 5-15/km max. It was the same as last year. We always stuff this up. We should go much slower.. Anyway, Mike’s back was crook and I still sniffled, snuffed and coughed. For starters we were fine, down the beach , along Hedges and to the turn around. Many many people cheered me on in the MND and Me colours. The elites coming the other way were frightening. Some looked near death, some were flying at a pace I can only go for 400m. Some had already pulled out. I did not see Solly Litchfield or Jodie Obourne, two female runners I follow but it is a big race! Around half way Mike and I split up he dropped back a wee bit and I did not know, its easy in a crowd. With no one to cool my stupid head I pushed on for 10 km. This led me to the 30K mark and here I fall apart. As usual. This is not trail running, its relentless, steady and fast. I was ready for the falling ability though, expecting it! I slowed in order to avoid stopping, 5-15 to 6min kms and dragged myself through to the end. MND and me supporters all along the way cheered and gave me a huge lift. I kept trying to remember who I was running for, people who can’t anymore! No chance of pulling out. I got to the end, walking a few drink stops and the low bridges got me to the finish. The time was crap, 3-55.19 faster than last year but 10 minutes too slow. I have reasons but no excuses. It’s no good now complaining about a little cold! Road marathons are hard. Relentless speed is needed but they are over soon enough. Longer races make the sub 4 hour duration easier to digest but you can’t avoid the speed you have to keep up. I ran in Mizuno Wave Universe 5’s, I used the 4’s in last years race. These are super light, 80 grams!!!! The lightest shoe in the world, I train in Skora but race in these, they are so light, thin and flexible but have a bit of cushion. It’s nice to have a race day shoe. 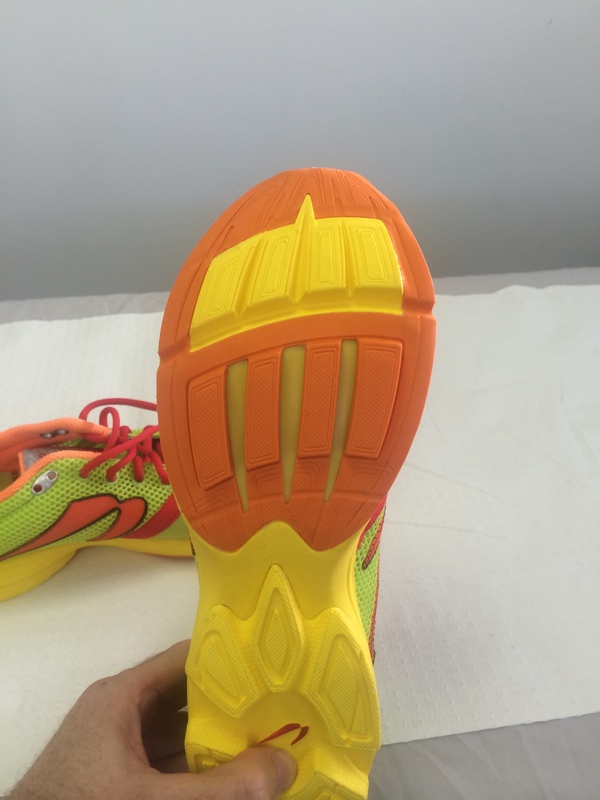 5km is the distance Mizuno suggest a person use them for…….hotel slippers offer a similar feel. As per my cycling preference, a neck kerchief was in use, Runyon from the US now for me. Rapha silk is nice but after 10 years, I tried a new one! We might have a go next year, though a desire to run the Grand Lavaredo in Italy come June 2015 could scupper that. Its 120km and way over 5k of vertical reaching 2700m plus I think I know what I prefer now. A rather poor result for me. We raised over $1000 for Motor Neurone Disease though and that is great. I thought 42.2 would be a doodle after 100km on the trails but it’s not. I feel worse today than after TNF 100! Still learning, photos and a report to come. My new work website will be up soon too. It has been stealing all my time. I enrolled to be a Lab Rat. The University of Newcastle are doing a study on shoes and injury. I volunteered. After 4 weeks of logging a diary I was enrolled and randomised. This was dangerous, some God awful shoes were on offer. 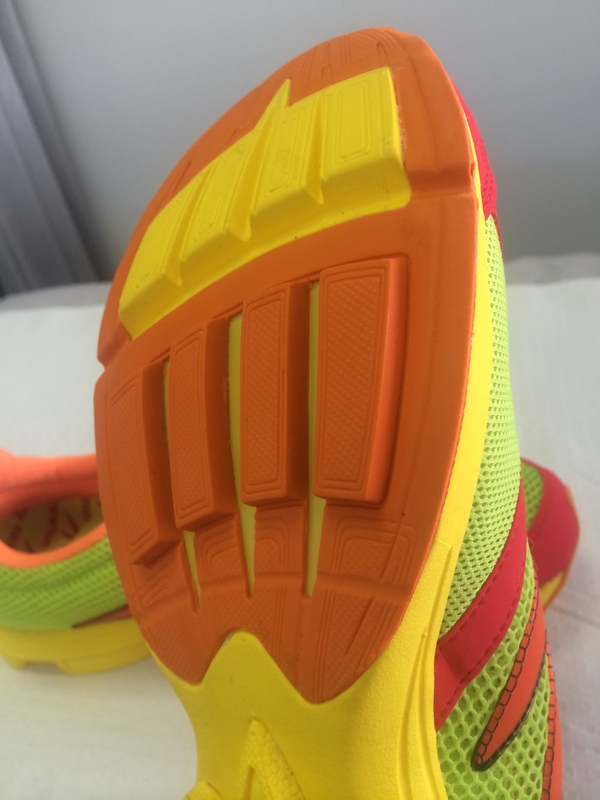 I am talking Hoka One One here and things with springs in them. Brands I had never heard of, 10mm plus heel drops. 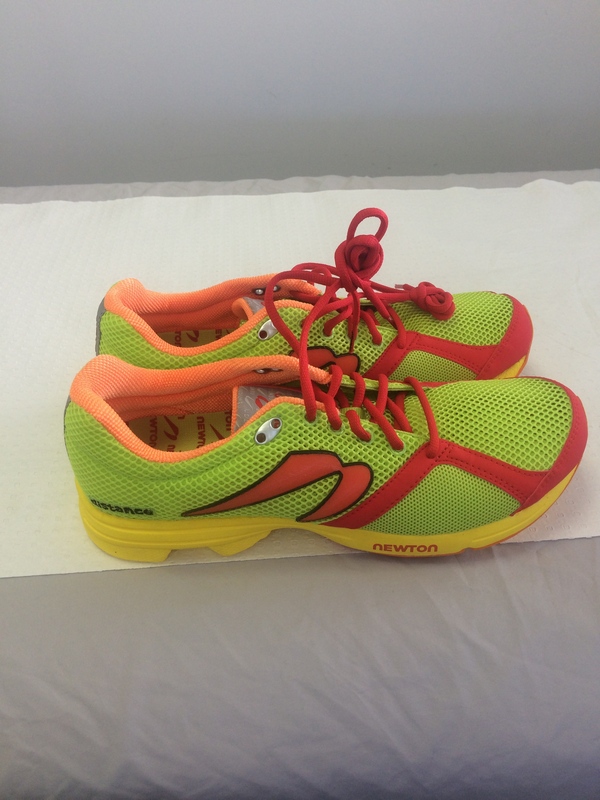 I was lucky enough to get the Newtons. My main shoes for 12 long months. Heel looks big but is relatively low. 4 lugs. I think they now have 5. They are a lowish trainer, 2mm drop but no advertised stack height, I think it’s about 12mm. They are pretty standard fare but for one thing. They call it POP or ‘action reaction’, it is one of those energy return ideas. If it worked we would all use it. Energy for free! Yay! Any way there are 4 big lugs in the fore foot that go in and out with your foot strike, it is meant to bounce you into the next stride. Well, it might do that but what it mostly does is feel weird. You have to strike in the forefoot or you are going to fall over. I do, more so than the shoe would want so it is easy for me to adjust. I have no pain, they are fine to run in even if I feel a bit like I am wearing Japannese flood clogs. They fit well and have a very ‘look at me’ colour scheme, Fluoro everything. What more can i say? They are gizmo shoes. I hope the feeling of stepping on a rubber square goes with time and they disappear like I desire. 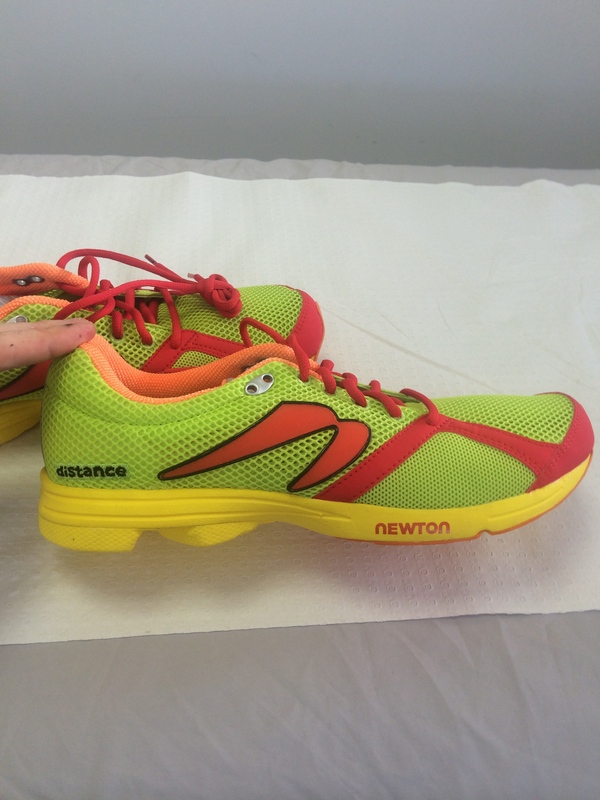 Skora shoes are the very opposite of this, the Newtons are talking the same talk but not walking the same walk. You can’t walk in these things anyway. I suggest Newton do away with the rubber lozenge, or minimise it. Focus on low, fast design and they will go on. It is a question of finding your niche in a thick pile of shoes hence the lozenge will stay and I wont. Come the end of the study I am GONE! at 9.98 m/s/s. 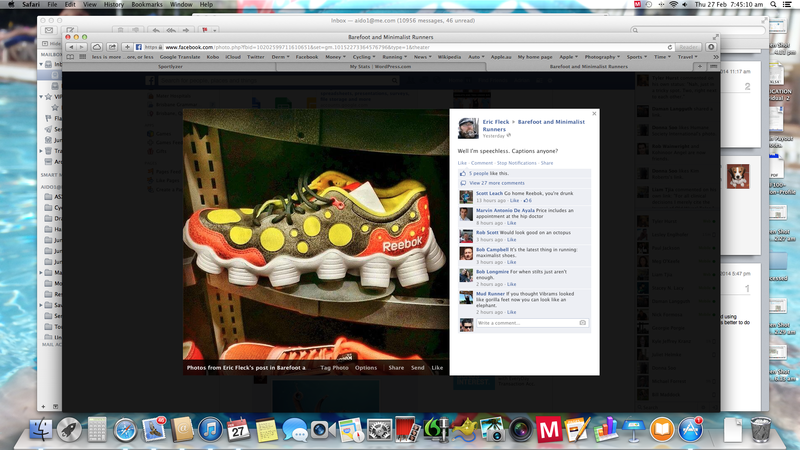 If people think minimal running is crazy- the Reebok ATV is completamente locos! The Reebok ATV has an aesthetic only a mother could love. 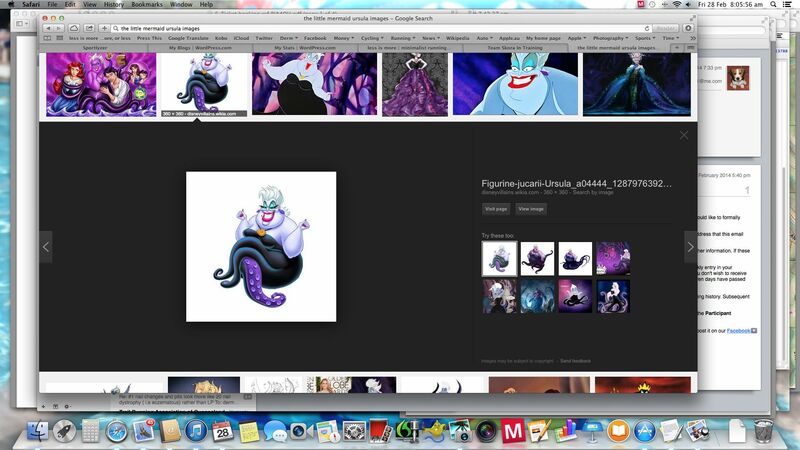 A blind deep-sea mother, maybe that lady from The Little Mermaid? These suckers are sure to not sell well but will still move more units that Skora and Luna combined. It is a crazy crazy world!!!! Reebok make excuses for this abomination that is straight from the Springfield nuclear waste dump at Reebok web site – enter at own risk. you be the judge. Know any other shoe monstrosities? 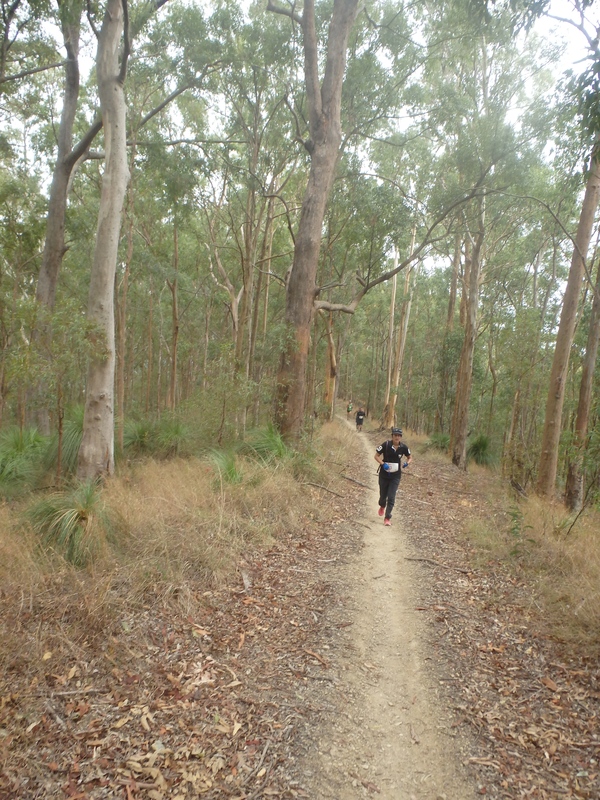 Mt Glorious Mountain Trails- A race up a Mountain or two. 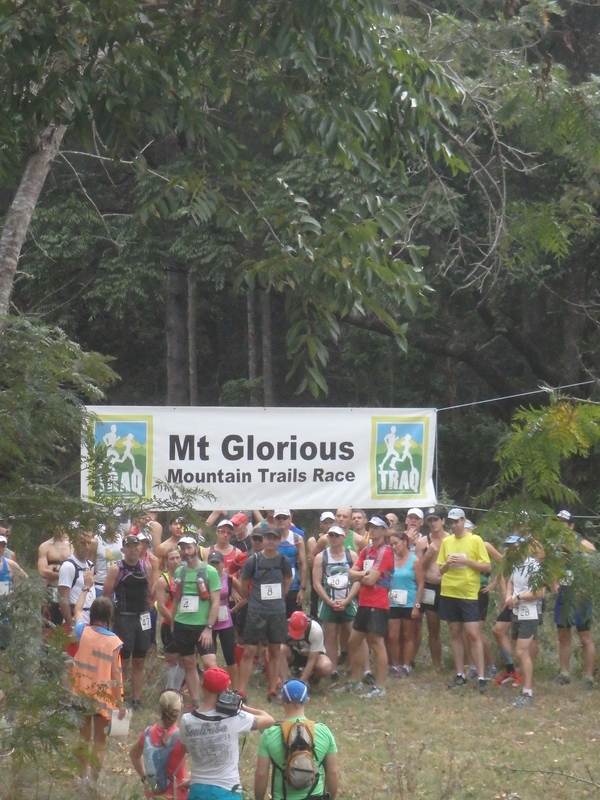 Saturday the 22nd of February was the day, 147 mad souls travelled to Cedar Flats and the start line for this years Mt Glorious Mountain Trails race. 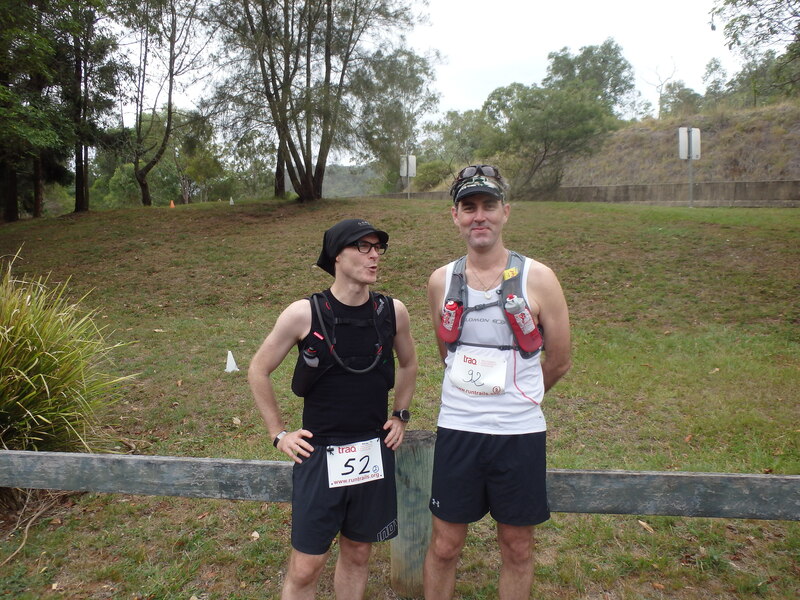 TRAQ (Trail Runners Association of Queensland) had managed events perfectly with busses and easy parking/registration. 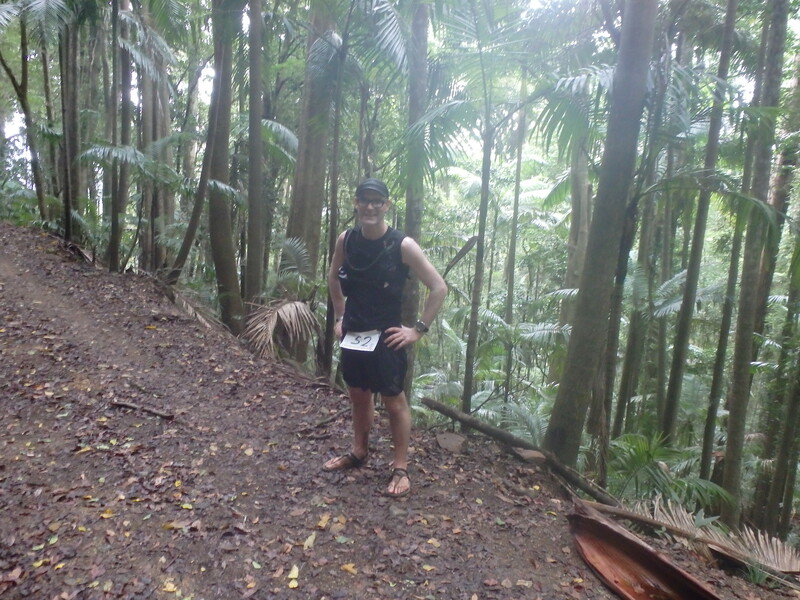 I was excited, today I would give the Luna sandals a race baptism and a nifty new Inov8 race vest. I had also regained sensation in my right leg post disk prolapse! Wow. The course looked straight forward, bit of a climb then easy, down hill and then up again. I could do this!? Stupid me. 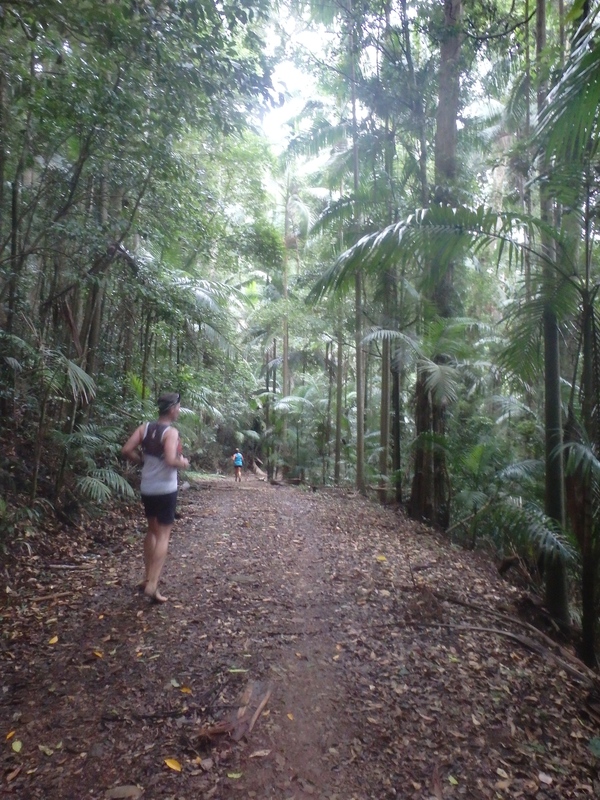 Things started well with a drive up through the bush then rainforest of Mt Glorious and later down to Cedar Flats. Only dilemma was, it looked steep, the ridges menacing and despite riding my bike up here many times, I had never run it. The cosy Mini felt better each minute, I didn’t want to leave the car. My daughter is three, she won’t notice if I pike? Still Mike my trusty running companion and chief motivator/guru seemed up beat? Peering down the valley towards the creek line below, ‘It looks kinda steep Aido?’ bloody Hell. Three waves coalesced at the starting line and were sent off with a bag piper in full kilt-kit. I think she played Waltzing Matilda? The plan was simple, take it easy up the initial steep bit and then hit the go button. Mmmmmm, my 4-500m ‘steep bit’ went on for about 4 km. After 20 minutes I was deep in ‘the red’ and only 2km from the start. We were ALL walking, I could not talk and was reprimanded by a New Caledonian lady for not cheering her on, how?? “Alez!” Gasp, groan and sniffle next time, I promise. As runners, you all know how it goes, just keep going and it will end, we don’t stop. I was tempted. The sporty, cheerful New Caledonian. All in Black……. After 4 km and 450m of climbing it did ease off. We were now atop Northbrook Mountain and doing a few up and down bits, it was cool. 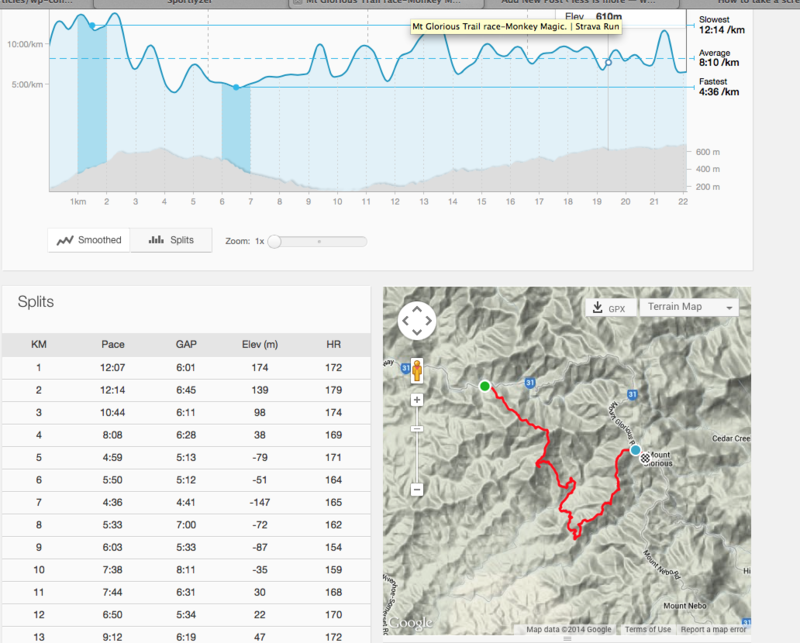 Next came a fun set of switchbacks and a long fast descent. My Luna sandals were a bit too minimal for this, ouch ouch ouch! (I was wearing Mono’s the street/road/trail version and not one of their trail specific options). 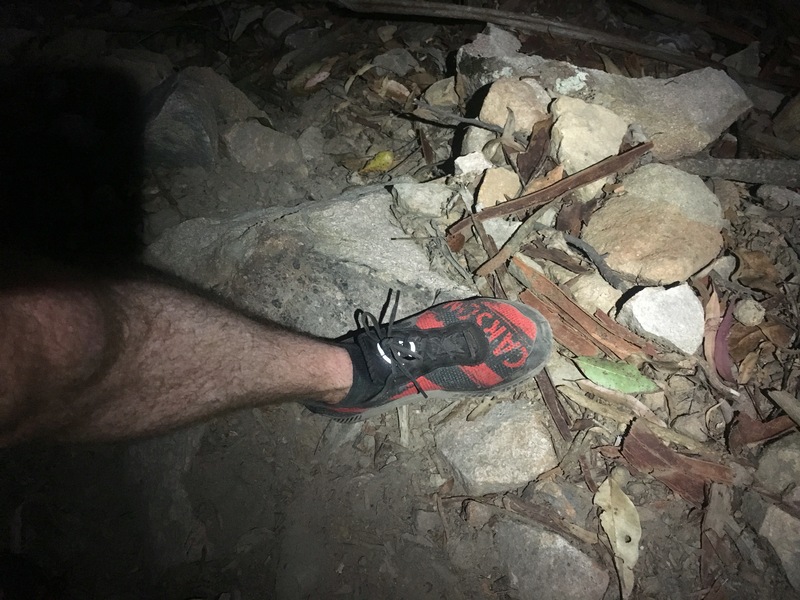 A chap who runs by Phoenix Aquila came past me, it was great to meet my internet friend, a speedy Mt Warning resident who might be a hippy. I chatted to Silvia Smith from ‘near Rockhampton’, she used to be from Holland and has beaten me twice now. We are both doing the North Face 100 in May, why? Steep and rocky trails. Ouch! The pleasant trail soon turned nasty again after a typical TRAQ low-key check point at England Creek. Mmmmm pretzels. We were on the up again. Not as bad as last time, I could run (at walking pace, 90% of it). My walking was slower, more painful and harder on my ticker so I Ultra shuffled/jogged next to a walking Mike. 600m of climbing followed over 10km. That sounds easy, it was a struggle. With time, the soil turned from decomposed granite, to red volcanic stuff and the rainforest loomed. Then bang, we were in it. Ever walk into the lobby of a hotel in summer? This is how we felt. 5 Degrees cooler and soft earth under our sore feet. 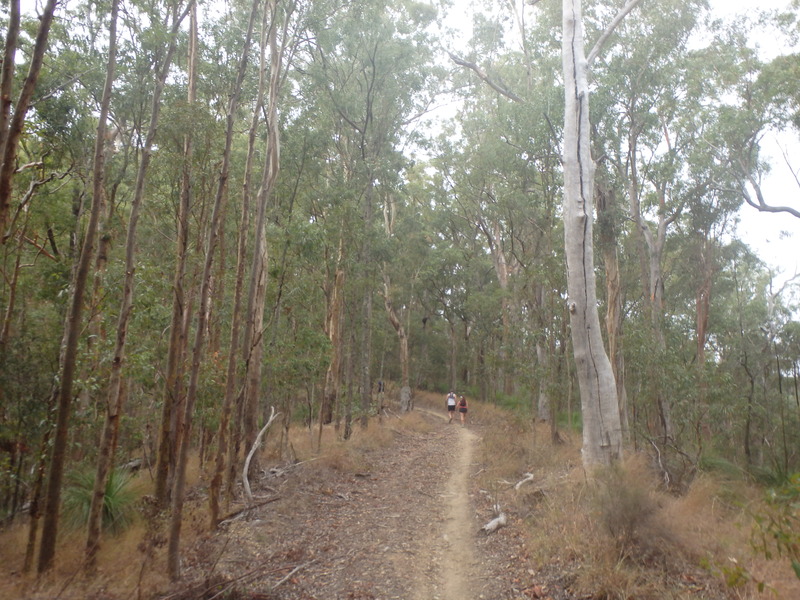 A few km of this pleasant business and we took a sharp left onto even more lovely primo single track. The vines and roots were all deftly marked in yellow TRAQ tape to save us from our selves. We hit some stairs, a final obstacle, reminiscent of something out of ‘The Hobbit’, moss covered and wet the Lunas slipped, I was crawling on all fours up this stuff. We could now hear the motorbikes and the odd cheer so picked up the pace for home, I fell over. Up again and into the sun and finish line! 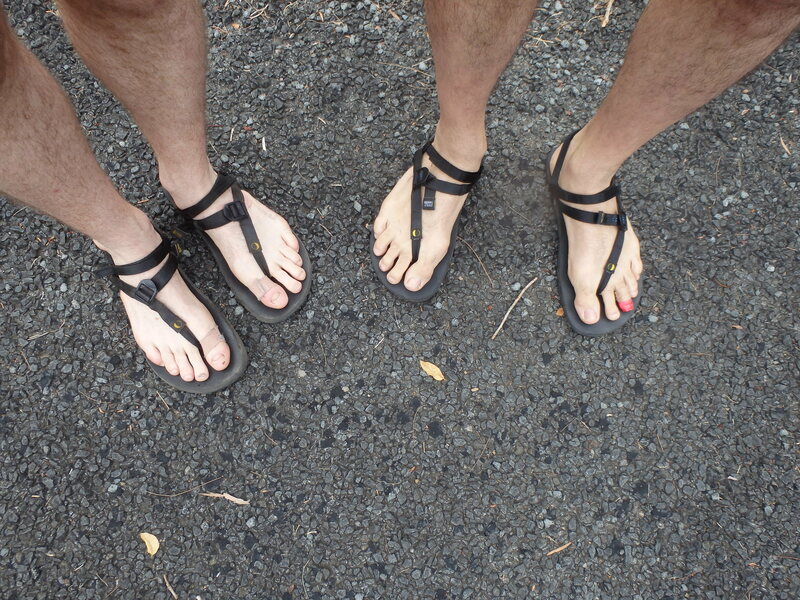 Nobody noticed, two sandal clad warriors strode towards the line, they were presenting awards to the winners and coaxing people onto busses. I did a Kilian Jornet and blew kisses to the unaware crowd. My daughter declared me ‘disgusting’. A heroes welcome?! It was a great day out. We finished in our 3 hour projected time and did it in what most people would call ‘flip-flops’. No body was injured. My wife and daughter soon recovered from our gross muddy appearance and let us get in the car for home. I had a massage to attend! TRAQ need a big thank you. No corporate signs, cheap, fun and friendly. A great race! Hats off Ian and Huberien. To the winners, they are superheroes, our German friends Florian and Moritz run like mountain goats and Harriet makes the hills seem flat. We are in awe. Lesley and Gigi transported Mike and I to and from the event in style and good cheer, I am blessed. The only gripes I have are my own, why so slow? Why so sore? 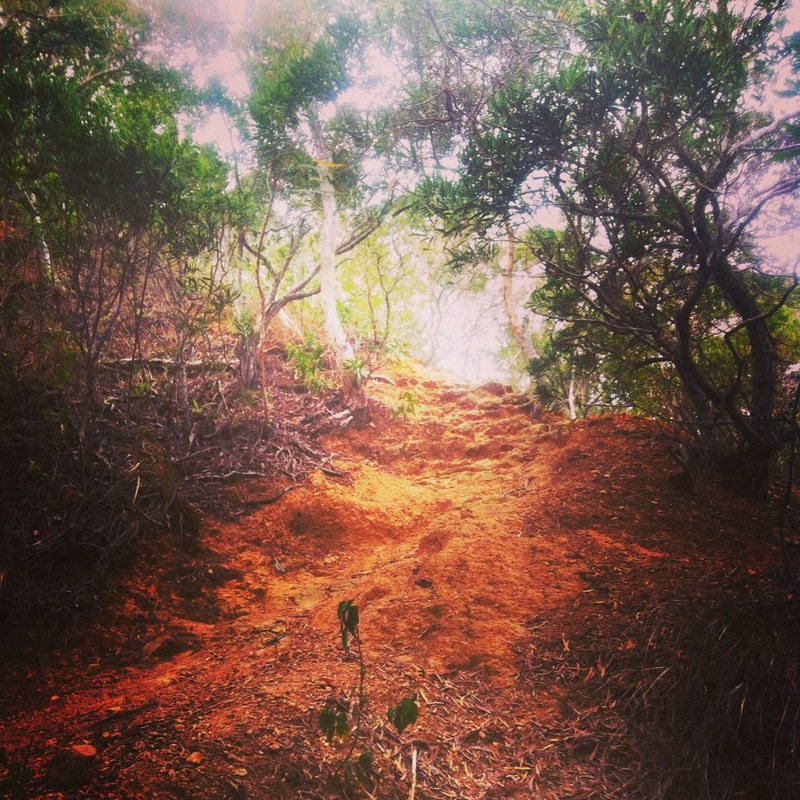 Well the answer is simple, it was a Mountain Trail, up Brisbane’s best mountain, Mt Glorious! Post script, here is a great video made of the race by Silvia Smith, from near Rockhampton….. incase you missed link above. Silvia Smith GoPro video. Day one and it is a test, oh yes.